In the rarified world of perfect macarons, Ladurée, in Paris, seems to arguably set the gold standard. Pierre Hermé, Gérard Mulot, Dalloyau - all are equally fabulous. 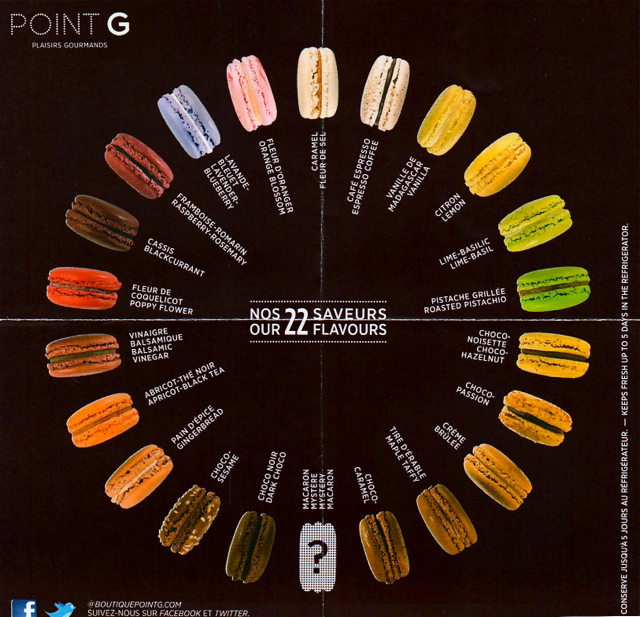 Point G in Montreal gives each of these steep and serious competition. Where as Ladurée is all pale vert amande and gold, Louis XIV decor, as if Marie-Antoinette herself would be sitting next to you drinking tea and eating a plate full of candy-colored macarons, Point G is the edgier younger sister, with fuchsia pink hair and a lower cut corset. I took my professional macaron taste-tester with me to see if these macarons held up against the legendary Parisian puffs of sugar and cream. My step-daughter, Emma, having been born in Paris, would make her daily meals of macarons if we let her, and she probably will once she lives there again in a few years. 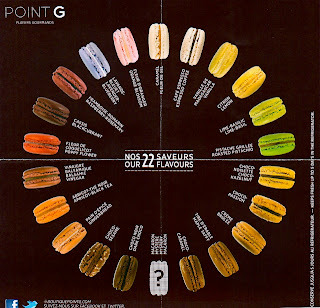 Emma slowly perused the choices at Point G, asked about each and every flavor, and with great attention picked out the six she wanted to have slowly melt in her mouth, a truly savoring moment. I watched her try one, then another, the next brought an even more satisfying smile, and I realized, we have a winner! 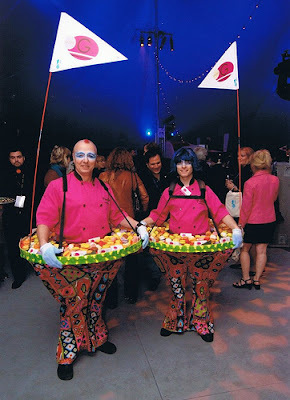 It is no wonder that for their 25th anniversary celebration in 2009, Cirque du Soleil chose Point G to serve their macarons. There is not a flavor that doesn’t delight and excite; my favorite is still the caramel fleur-de-sel, the exact mixture of sweet and salty. Emma will try the bold, new, and unusual flavors with abandon. Montreal is Paris wrapped up in European upbringing, with North American experience. Point G is the gold nugget you find in the midst of it all. 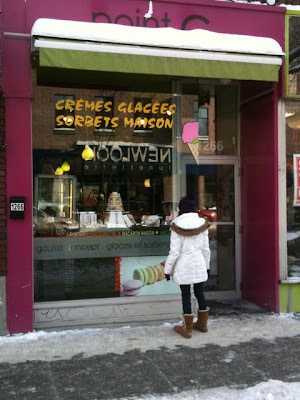 It sits in an area that is off the beaten tourist path, yet for any Montreal resident, sits perfectly in the heart of the Plateau Mont-Royal. Perfect macarons I am sure even Marie-Antoinette would love. The Shinshō-ji (新勝寺 ) Buddhist temple in Narita-san, Chiba prefecture, near Tokyo’s Narita airport (NRT), is one of Japan’s most popular temples to visit for the month-long (January) Hatsu-mōde (初詣) - a Japanese citizen’s first shrine visit of the New Year, where trains run all night long between Tokyo and Narita on New Year’s Eve. Built in 940, Shinshō-ji Temple has The Great Pagoda of Peace set within the tranquil Naritasan Park. I walked along Green Street yesterday, one of the old streets of Narita, and arrived at the temple before 9:00 am - a bright, but very damp and cold morning. I kept slipping on the icy sidewalk, and kept thinking how badly I craved a hot cup of coffee. Most places weren’t open yet, so I headed straight for the temple. 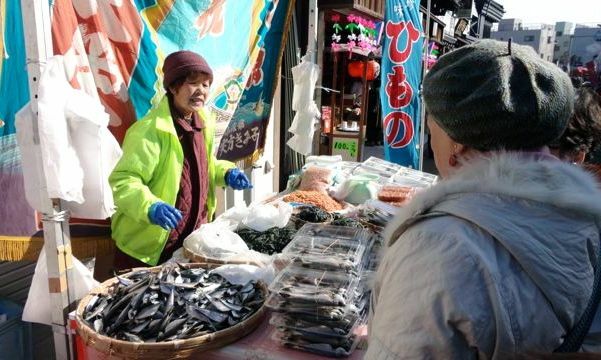 The overwhelming majority of visitors to the temple were the elderly. Undaunted, they hiked the steep steps, walked through the gardens, strolled arm in arm, followed their tour leaders, and paid their respects. I think I was the only westerner that morning visiting the temple. 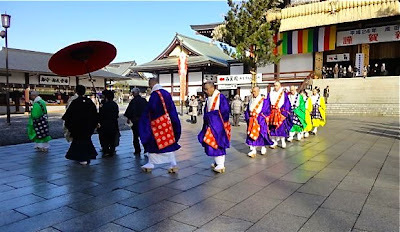 Along with the Japanese, I washed my hands and mouth at the tsukubai (for purification), threw my coin in the well at the Great Main Hall, bowed for reverence, and clapped twice to keep evil spirits away. 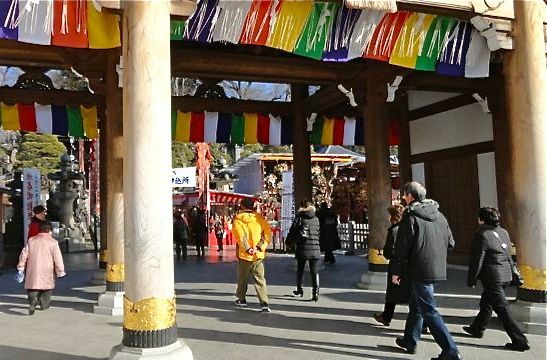 At the temple entrance were stalls selling all manners of Japanese souvenirs. 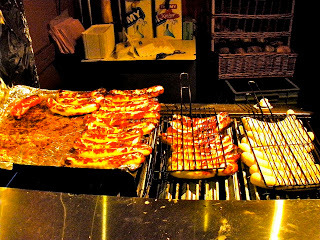 Tempting as it was, I pressed on further down Green Street to the vendors selling their wares on the street. By now it was 10:30 am and the street was really coming to life. I was amazed at not only the number of Japanese tourists, led by their flag-on-a-stick tour leaders, but how many locals were walking around, shopping and buying. At one open-air restaurant I watched two young Japanese men slice and dice fish with skilled precision. 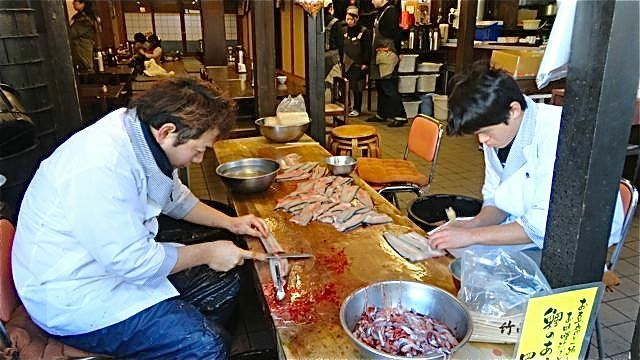 As I watched the two men - one filleted the fish, the other threaded the filets with small, wooden sticks - I made a mental note to eat there for dinner on my next NRT layover. Further along, one shop was selling nothing but sake, and giving free tastings. 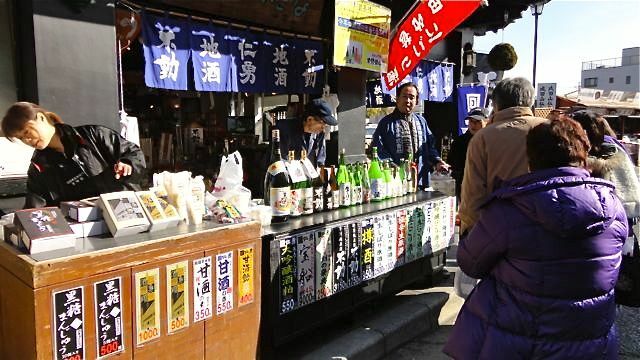 If I wasn’t working the flight back to New York later that day, I would have been waiting in line - I love sake! After reading my book, a friend mentioned he had never heard of pastis. Ah, pastis! A quintessential French drink. Almost, dare I say, the national drink of France? (Well, southern France, that is). Pastis is a liqueur, flavored with aniseed, poured over a couple of ice cubes, and mixed with a small amount of water. 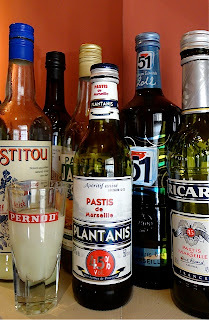 Ricard, Pernod and Pastis 51 brands, owned by Pernod Ricard, are the standards, and at this point, monopolize the production, but I have found so many different variations and producers in my searches across the city of Paris. I buy different brands of pastis, and find quite a few different brands at the Monoprix, where pastis is plentiful, and in large sized bottles. Next on my trip docket is a trip to Marseille to buy pastis in the city of production, the city from which it originates. Limoncello, on the other hand, is a lemon liqueur that exudes sun and southern Italy, where it is primarily produced. It is best enjoyed chilled, as a digestif; the crema di limoncello is as smooth as silk. 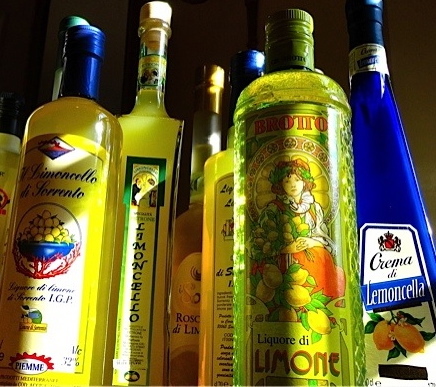 My friend Karen recently shared her recipe with me for making limoncello, which I am going to try out, and post, if I can successfully create the taste I have come to love. As I drink limoncello whenever I am in Italy, I am hoping my homemade limoncello isn’t defeated by location, location, location. If it works, I have found the perfect Christmas gifts to give to friends! Across the Swiss border in Austria, the famed Swarovski crystals are produced, which are an integral part of many Christmas celebrations around the world. In New York City, the famous Rockefeller Center Christmas tree is topped with a Swarovski star that weighs over 500 pounds and shines brightly due to the over 25,000 Swarovski crystals on the star; in Zürich, Switzerland, the Christmas market tree is studded with over 5000 dripping Swarovski crystals. Whenever I mention being in Zürich in December, universally I hear, “You must see the Swarovski Christmas tree!”. 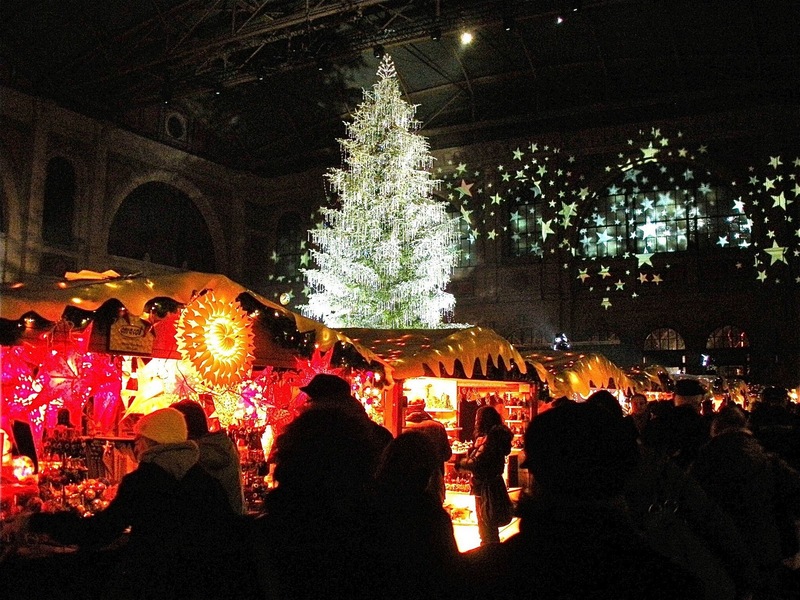 Housed in Zürich's Hauptbahnhof, the city's main train station, the Swarovski Christmas tree dominates the Zurich Christmas market, the largest covered Christmas market in Europe. It’s still cold inside, but without directly having to face the elements of mother nature, it is still Christmas market all the way, without a biting December winter wind. As for European Christmas markets, Zurich’s is by far not the largest, but the Swarovski Christmas tree more than fills the gap, with the fairy-tale tree highlighting the market atmosphere. Like all European Christmas markets, it is a festive way to spend an afternoon or evening. The painted and decorated stalls and booths overflow with handmade wooden and glass figurines, toys, ornaments, and more. 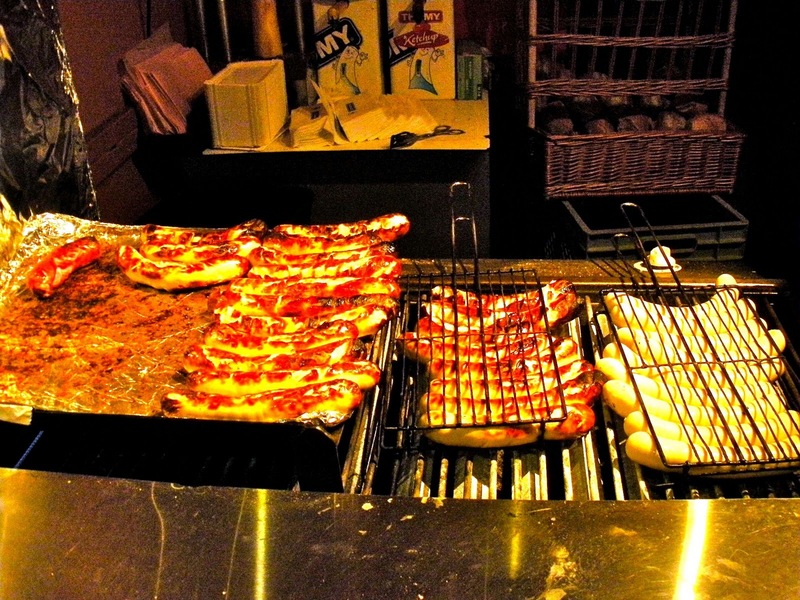 The eat and drink stalls abound with Swiss food, drink and delicacies - sausages and cheeses of every Swiss type and variation, raclette, fried dough with multiple choices of sauces to pour over it, or the traditional sprinkling of powdered sugar, crêpes, beer, coffee or cappuccino. 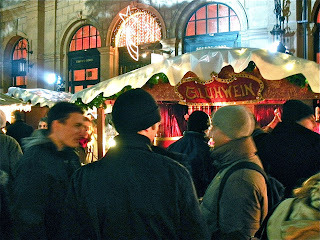 Of course, the glühwein is plentiful, and is always a very busy, and crowded, stall. 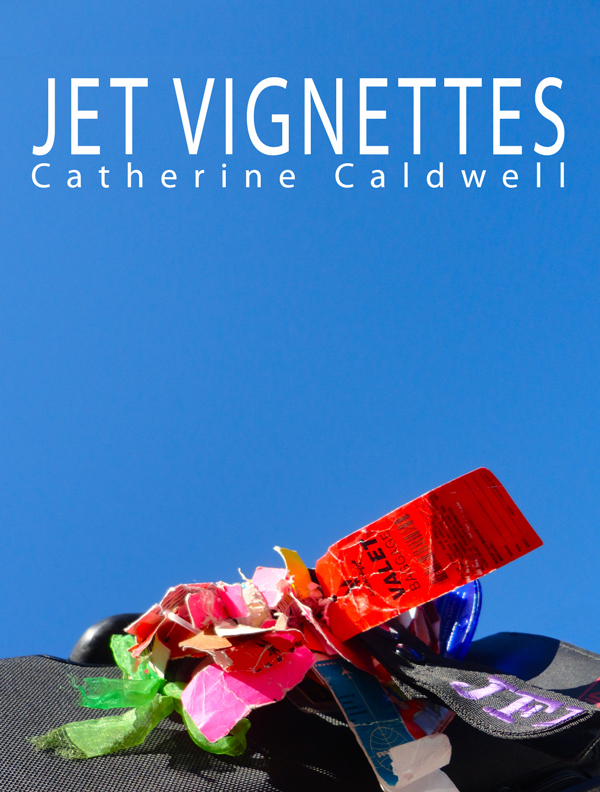 I strolled through the market, looking through the three-deep crowd of people at every booth and stall, eyeing different wares, pondering packing anything in my suitcase for the flight home. It is so easy to be swept up in the moment, and want everything! In the old world, traditional setting of the Swiss/European Christmas market, I visited the booth of a Rastafarian selling his array of goods that were not so traditional. I settled on a couple of wooden Christmas ornaments, light and easy to carry. At the end of the market was the pièce de résistance - the Swarovski Christmas tree. Like a beacon of radiating light, the Christmas tree stands out on all fronts. The size, the width, the sheer brightness and brilliance. Swarovski crystal ornaments saturated the tree everywhere, hanging from each and every branch, dripping like liquid mercury. The tree shined white, silver, pale blue, pink - emitting the colors of thousands of Swarovski crystal ornaments, beaming in spotlights focused on the tree from above. I couldn’t help but feel like a little girl again, with bright, white light washing over me, and when wishes has no bounds, wishing for a tree like this one. Even without snow, it is a perfect Christmas market with the shining Swarovski Christmas tree the epicenter of it all.